We have added three new items to our store made from alpaca just in time for Easter. 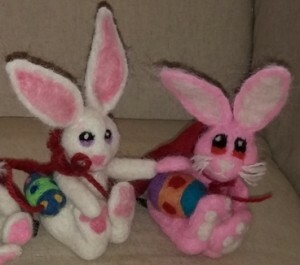 We have two styles of hand felted Easter Bunnies, one in all white and the other with bright Easter eggs and red capes. 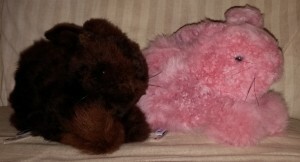 We have also added two cuddly, soft, alpaca rabbits. 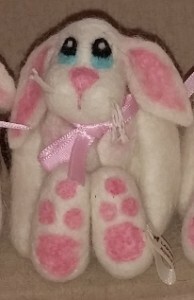 They are made in the same way as our alpaca teddy bears. You can see all our new alpaca Easter rabbits, as well as our new selection of spring colored alpaca scarves online and in the store. Just click on the pictures to be taken to our website to see the selection.